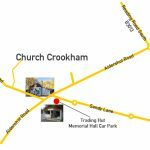 Our Trading Hut is in the Car Park of the Church Crookham Memorial Hall, Sandy Lane, GU52 8LD, (opposite the Wyvern pub). 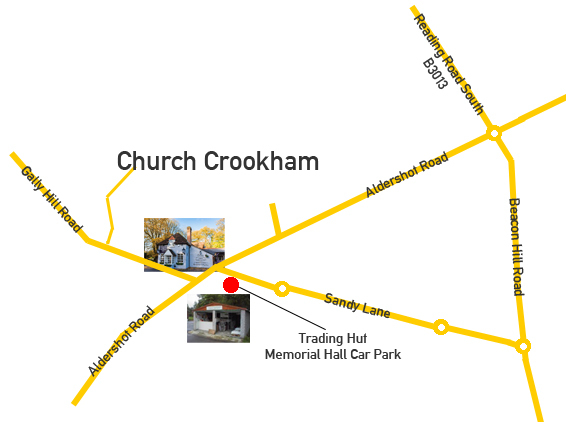 The entrance for vehicles is 60m from the junction with Aldershot Road (Church Crookham). We are open on Saturday mornings between 10.00 and 11.30hrs during the growing season. Dobies’ 2019 seed catalogue should be available from the trading shed on 6th October. You can get a substantial discount on your order by using the members’ code. In the hut we stock a variety of products including composts, growbags, fertilizers, insecticides, canes, grass seed and lawn treatment, and much more. We would appreciate feedback from our members on the trading facilities and stock we offer, and would welcome any suggestions to improve the service we currently provide. PDF Price-list – view or download. We endeavour to hold the prices for the season but we may need to make adjustments as necessary. Last updated 8th May 2018.